Despite only becoming truly established as one of the major esports titles last November, with its first major event, Counter-Strike: Global Offensive (CS:GO) has a competitive history extending back to September of 2012, more than two years ago. As the game continues to grow in size, more new fans are created and come into the competitive realm seeking primers to get them up to speed on who is who and what is what. This article series outlines the 10 story-lines every CS:GO fan needs to know in order to be able to appreciate the current context of the game’s top competitive level of play. Natus Vincere (Na`Vi) are one of the most successful Eastern European CS 1.6 teams of all time, dominating 2010, winning all three major tournaments, breaking the record for prize money won in a single year and establishing themselves as the best team in the world. By the end of their almost three year run in 1.6, the Ukrainian powerhouse had racked up four major titles and over $379,000 in prize winnings. Much like fnatic, the team delayed their entry into CS:GO, as they were still in position to contend for all of the remaining 1.6 tournaments that were scheduled during the early competitive days of the new game. When Na`Vi did transition their classic line-up (ceh9, Edward, markeloff, starix, Zeus) over, the found themselves facing a grind to return to the status of being a top contender. Their first events saw obvious progres, going from 5th-8th at their debut at Mad Catz Invitational Vienna, to already finishing third by SLTV StarSeries Season V, a few months later. The moment Na`Vi seemingly arrived in CS:GO was at SLTV StarSeries Season VI, where they were able to reach the final and win maps off the mighty NiP, before inevitably falling to the game’s most dominant side. Hopes were high that this Na`Vi team could be one of the few capable of truly threatening the Ninjas’ reign, but those hopes seemingly died when Na`Vi managed to finish second at Prague Challenge, losing the final to a mix-team (apEX, kennyS, Neo, OverDrive, TaZ) who could barely communicate. Four days after that result, star player markeloff left the team. The following day after markeloff’s departure, it was announced the other star of the team, Edward, would also be leaving. Both former Na`Vi stars would create a new Eastern European super-team: Astana Dragons. With Na`Vi having lost their fire-power, little was expected of them. They picked up young talents seized and kibaken the following month. Amazingly, at their very first event with the new line-up, Dreamhack Bucharest, they were able to secure a top four finish, matching Astana Dragons’ placing. In domestic tournaments, Na`Vi frequently found themselves bested by bigger names and their failure to get out of the group stage of Dreamhack Winter meant the year ended with Dreamhack Bucharest looking like a fluke. The team were able to reacquire Edward, as he had struggled to adapt in Astana. Along with Edward, came GuardiaN, the Slovakian AWP star who had helped famously slay NiP in the EMS One Summer semi-final. ceh9 and kibaken were the players to depart the line-up to make way for these names. This new look Na`Vi initally disappointed, again failing to get out of the group at the next major, EMS One Katowice. Back on home soil, at SLTV StarSeries IX, the new line-up had their break-out event, defeating NiP and Titan to take the title. They followed that up with a runner-up finish at Dreamhack Summer. The next few events were less convincing, finishing only fourth at ESEA S16 in the USA and falling to NiP for the second time in the last two events, finishing second at the small IronGaming. At ESL One Cologne, Na`Vi were one of the under-appreciated stories, reaching the quarter-final and only losing 14:16 on the third and final map to fnatic, a team who went to the final, and on nuke, a map Na`Vi famously never played, no less. More losses to fnatic came at SLTV StarSeries X, leaving Na`Vi with a second place finish. At the recent Game Show League S1 final, they were able to beat rivals HellRaisers (formerly Astana Dragons and featuring markeloff) to take that title. Na`Vi stand as one of the streaky outsiders to the top tier of the scene. Lacking consistency, they have never been able to truly stand as the world’s best team, but have always been able to play specific teams closely or secure upset series wins. Most interestingly, they have often gotten the better of markeloff’s Astana/HellRaisers, despite the context that he was their best player and left to form a better team. North America has always been a significant factor in international Counter-Strike, from the Team3D and compLexity line-ups which provided legitimate competition to the world’s best in the first half of the 2000s through to the Evil Geniuses team of the latter portion, filling out a solid fifth or sixth spot in the world rankings. In CS:GO, NA has never had a team who were close to the world number one, but they have secured some significant placings along the way. The first team of signifcance was the Area51/Quantic team of late 2012 (DaZeD, Hiko, semphis, sgares, tck), which was able to finish third at ESWC. In March of 2013, the team, with sgares swapped out for Source veteran frozt, finished 5th-6th at Copenhagen Games, but would elevate that to a second place finish shortly afterwards, at ESEA S13 finals, even defeating VeryGames in a series. Despite such a meaningful placing, the team was rocked with departures a week later, as Semphis and Hiko left the line-up and soon enough the team was dead and disbanded. At this point in time, the story diverges into a tale of two teams. On the one hand, Semphis and Hiko reunited with compLexity (also featuring n0thing and swag), while DaZed would later that year join up with Denial (anger, adreN, Skadoodle and AZ), who had formerly been Curse and would later become iBUYPOWER. At Dreamhack Winter, it was iBUYPOWER (iBP) who were expected to be the stronger of the two, having boasted online wins over coL and dominant form in the pre-tournament bootcamp. Instead, iBP flunked out in the group stage and coL went on an impressive run to a top four placing. Back in North America, it was iBP who would deliver on the promise of last year’s Quantic, defeating Titan in a shocking dual series upset to take the ESEA S15 crown. At the next major EMS One Katowice, results seemed to repeat the international form of the previous major, though, as iBP again fell out in the group stage and coL progressed, only to lose a three map series to NiP in the quarter-final. ESEA S16 saw iBP again repeat their domestic form, this time finishing first place at an event featuring big names like NiP, Na`Vi and Virtus.pro, while coL took the runner-up spot. Heading to Europe, iBP played at Gfinity G3 and progressed from the group stage, but fell in three maps to a revitalised Titan. ESL One Cologne, the third major of CS:GO seemed to reinforce the themes of the two NA teams, as iBP once more failed to progress from the group stage, while coL, now called C9, reached a quarter-final date with NiP and lost in three maps, again. The story-lines for the two teams have been the same throughout their histories: the Quantic core have always been able to show impressive performances, relative to their region, at international events outside of North America, leading through into their time in coL and now C9. iBP, on the other hand, dating back to their core’s initial time as Curse.NA, has always struggled when competing outside of their continent’s borders, but have been the ones to continue the Quantic trend of performing above expectations at the domestic ESEA LAN tournaments. There has been a little more overlap between the two teams, as swag went over to iBP after EMS Katowice and Anger went the other way, briefly. Now, C9 features Shroud as their fifth member and iBP no longer has adreN, instead bringing in Source veteran steel. Most recently, iBP again triumphed over C9 on domestic soil. 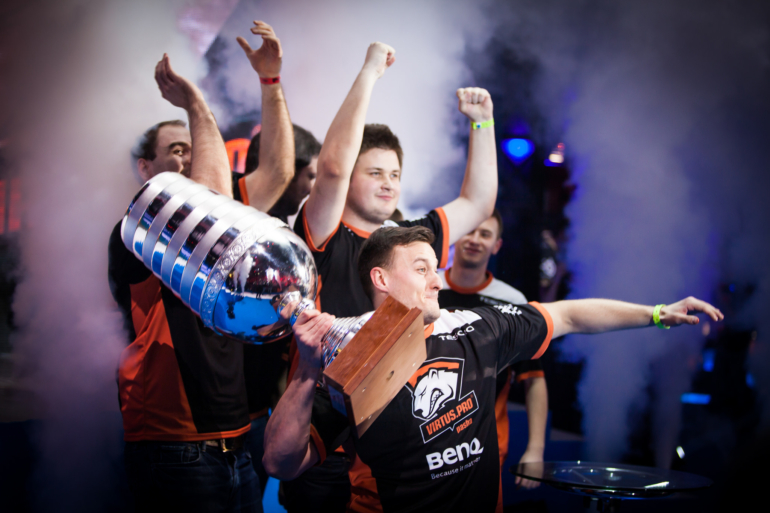 NEO and TaZ are two of the most decorated players in the history of Counter-Strike, having won more major titles than can be counted on a single hand. With their ESC team having won the final major of 1.6, the IEM VI World Championship, in early 2012, it was expected that the line-up would be a force in CS:GO. Instead, they would consistantly disappoint those expecting a legitimate contender for the big titles. Attending numerous events, the Poles would find themselves frequently finishing fourth or worse. When NEO and TaZ went and won Prague Challenge with a mix-team, featuring apEX and kennyS, it seemed to spark the seed of change within the Polish side. Following that event, they remade their line-up, keeping only NEO, TaZ and pasha, as their core. Adding new comers byali and snax to the team and going under the name Universal Soldiers. Right out of the door, the team managed a top four finish at EMS One Fall, but then failed to progress from the group stage of the first CS:GO major, at Dreamhack Winter. Following a long break, and now with the Virtus.pro organisation, the team came into EMS One Katowice, on home soil, in tremendous form and stormed the tournament, losing only a single map over the entire tournament. Hopes that they would be capable of consistently showing that kind of form were deflated a little as the team rematched with their opponent from that EMS final, NiP, in the final of Copenhagen Games. This time, NiP prevailed and that would be the last final VP would reach for a while. Some mixed performances, ranging from 3rd to 5th-8th, followed. It wasn’t until Gfinity 3 in August that the Virtus.pro that had stomped Katowice seemingly returned. In the midst of a losing effort against Dignitas in the semi-final, the infamous “Virtus.plow” mode was activated, as they ran over their opponents and stormed the series. In the final, it was the same story against Titan and VP won their second event of the year. Those expecting that form to carry over to ESL One Cologne instead saw VP falling in the quarter-final to LDLC, a team they had defeated at the previous major. The story-line of Virtus.pro has been of a team capable of playing unbeatable offensively-minded CS, but incapable of replicating that form with any consistency. Seemingly, even VP don’t know when that mode will be activated, it comes like a bolt of inspiration. Interestingly, where NEO and TaZ were the carries of the team in 1.6, they have shown themselves to be the weakest members of the line-up in CS:GO. Finally, the team has found itself facing difficulties with its shot-calling, having seemingly shared duties amongst all of its members by now. While VeryGames were contending for world titles, there was always a hotbed of talent within the French scene, as players outside of the top team (shox, kennyS, ScreaM, apEX, kioShiMa and KQLY) have always been able to propel secondary sides to decent placings. Before ScreaM joined up with VG he made waves for his head-shotting in Imaginary Gaming. The same organisation played host to the skills of Source monster shox, who would also come to join VG in time. When shox joined VeryGames, displacing kennyS, the former VG AWPer went to WeGotGame/Recursive, where he would often output individual game performances, but the team was unable to truly reach top placings. A result of note was a three map loss to eventual champions fnatic at Dreamhack Winter. Under the name Clan-Mystik, a kennyS line-up met the same fate as the previous CM line-up, failing to progress from the group stage of the next major. The other premiere names in the French scene (apEX, kioShiMa and KQLY) had broken out with a shocking upset win at ESWC, defeating the likes of Astana Dragons and VeryGames to take the crown on home soil. At Dreamhack Winter, they were unable to progress from the group stage. In 2014, LDLC would sign a team made up of former Clan-Mystik players (apEX and KQLY) and reunited apEX with his former LDLC team-mates (Maniac and Happy), with the fifth spot being taken up by Uzzziii. That left Clan-Mystik to create their line-up of kennyS, GMX, kioShiMa, HaRtS and sf. LDLC managed to reach the quarter-final of EMS One Katowice, but fell to eventual champions Virtus.Pro there. At the following Copenhagen Games, they were able to upset domestic rivals Titan and progress to the semi-final, this time falling to olofm and KRiMZ’s LGB. Following Copenhagen Games, Titan made their infamous move that saw shox depart and kennyS rejoin the line-up. shox immediately joined up with the same team kennyS had come from, which was now going under the name Epsilon. Epsilon would have a shaky initial tournament showing, making it to the semi-final of Dreamhack largely as a result of a very easy bracket draw and getting embarrassed by Na`Vi in that stage of the tournament. At Dreamhack Valencia, a tournament without the bigger names in attendance, shox’s Epsilon managed to defeat HellRaisers in the semi-final, but fell to KQLY and apEX’s LDLC in the final. At Gfinity 3, despite defeating NiP in the group stage, they went out before the play-offs, thanks to a tie-breaker situation. Things were better at ESL One Cologne, as Epsilon lost out to Dignitas in the quarter-final. For LDLC, ESL One Cologne showed them at their peak of form, as they reached the semi-final and looked a favourite to make the final, but were beaten in three maps by a resurgent NiP. Following this tournament, with Titan having dropped out in the group stage, a huge shift took place in French CS:GO, as the three teams had a massive transfer of players between them. The result of this roster swap was that LDLC lost apEX, KQLY and Maniac to Titan; LDLC gained NBK and SmithZz from Titan and Happy from LDLC; Epsilon picked up the remaining pieces left-over: ScreaM from Titan, along with GMX, sf and fxy0, who had played in previous Epsilon line-ups, and Uzzziii from LDLC. At Dreamhack Stockholm, both LDLC and Titan made the final, with LDLC tipped by some to win, but Titan taking the victory in two maps. LDLC are still considered a line-up with the potential to become the best in the world, while Epsilon are thought of as a team of left-overs from the trades, with only headshot king ScreaM to draw any significant attention. CS:GO has a long history of LANs and a busy tournament circuit, but it wasn’t until the arrival of the majors that it had the true prestige of a major esports title. Just as in CS 1.6 the majors had marked the most important tournaments in a player’s career, so the arrival of these $250,000 prize purse tournaments allowed CS:GO to set a higher story-line of accomplishment for all its players. The $250,000 is not provided by the tournament organisers or Valve, the developers, directly. Instead, it is crowd-funded from boxes, containing in-game items, bought by community members. The key story-line of these majors were NiP finishing top two in all of them, but only securing a title at the third attempt. Virtus.pro and fnatic each won majors with magical runs, but proved incapable of consistently playing up to that level. coL/C9 managed to make runs to at least the quarter-finals of all three majors, while fellow NA team iBP fell out in the group stage of all three. Dignitas have reached the semi-final of the last two majors and continue to prove incapable of reaching the final, something they have never done at any large international tournament in their history. Finally, VeryGames/Titan were a favourite for the first major, losing the semi-final in three maps, but never progressed from the group stage after that in the majors. The next major tournament has been announced as late November’s Dreamhack Winter, completing the circle.